We do offer gift vouchers and delivery. Speak to your friendly staff for enquiries. We open 9am-5pm, 7 days a week except for public holidays. Check out our social media links for the latest specials or call us on (03) 9706 3098 for any other enquiries. 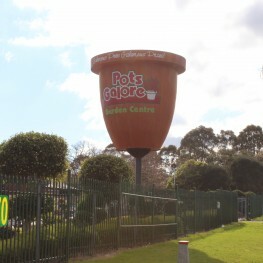 Feel free to email enquiries@potsgalore.com.au for any information.